We are here to provide corporate and business solutions designed for growing companies. We offer fast and affordable company incorporation services for individuals and corporate entities. We advise foreigners relocating to Singapore on the most suitable work pass and assist with the application process. We offer a full range of tax, accounting, bookkeeping, and payroll services tailored to your company’s needs. We can help you incorporate a company in Marshall Islands, Seychelles, BVI, Malaysia and Hong Kong. Switch your corporate administration, company secretarial functions, and other compliance services to Rikvin. Established since 1998, Rikvin is the leading one-stop Singapore corporate service provider for companies that wish to incorporate and do business in Singapore. Our range of services includes company registration and incorporation, application of work visas and employment passes, taxation and accounting services, business support and corporate secretarial services, as well as offshore company formation. All Singapore companies must comply with various incorporation & formation statutory requirements as mandated by the Accounting and Corporate Regulatory Authority. What sets Rikvin apart is our friendly and knowledgeable team, who is always ready and prepared to provide you with value-added information that can benefit and assist you in your business, be it via email, telephone or face to face consultations at our office, which is conveniently located in Singapore’s central business district. 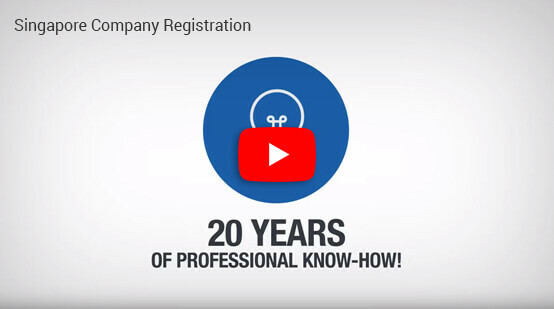 Moreover, given our long history and good standing in the industry, we have an established network of legal professionals, experts and consultants who can advise you on any company registration problems that you may have. Looking to start up a business in Singapore? Feel free to explore our website, which contains many informative articles written by our in-house experts and specialists. For a personalised face-to-face consultation, or to learn more about the team at Rikvin, call us at +65 6320 1888.